Welcome to the world of Margonem, the best browser MMORPG on the market! A world full of adventure and challenges awaits you! The world of Margonem is formed by 9 kingdoms Torneg, Carca-han, Werbin, Eder, Mythar, Nithal, Tuzmer and Thuzal. In these cities you will spend time talking to NPCs while trying to finish quests, exploring every corner and visiting every shop. You will have to do your best to become the biggest hero of Margonem. Choose from one of 6 classes that the game offers. Warrior, a strong melee fighter with big endurance. Paladin, a fighter of justice who uses the powers of gods and capable to punish his enemies with his holy sword while being able to heal his allies. Mage, a wise fighter that dominates the dark magic and capable of frying his enemies with a chain lightning or a classy fireball. Hunter, a warrior that hides in the shadows of forest waiting to deliver the fatal blow with his bow or crossbow. Blade Dancer, his extreme dexterity serves as a deadly weapon, once enemies realize what hit them, usually it’s already too late. Pathfinder, a being in a constant connection with the mother nature, his unique skills can surprise anyone. 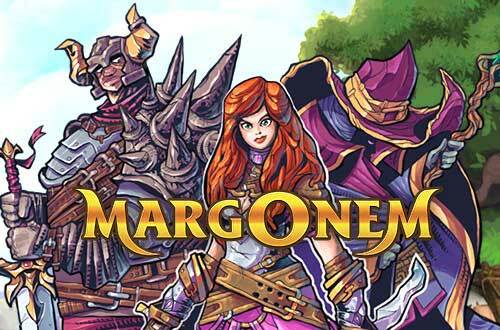 With more than 300 000 players and 15 worlds, Margonem is considered to be one of top ten online games in Poland. If you like classic MMORPG games as Tibia you will really enjoy Margonem. If this is your first time trying this type of game, you just opened a door to a new world full of adventures and countless hours of fun. Don’t wait any longer!